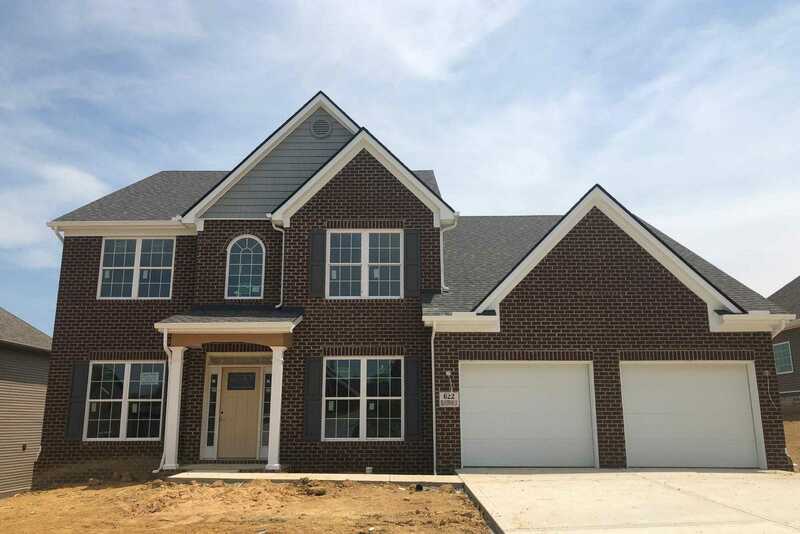 One of our most popular plans (like the model home), the Hartford II has a covered porch, feature entry windows, transoms and sidelights around the front door, and a detailed garage exterior with dual doors. This master on main home has formal living and dining, plus a large two story family room with abundant windows, built-in bookcases and fireplace with a two-story stacked stoned chase. The kitchen includes a large island with breakfast counter, and adjoins the dining room via a hallway with a built-in butler’s pantry, and on the opposite end opens to the breakfast area with bay window. A luxurious master suite is located downstairs, and includes a double trey ceiling in the bedroom, and a 7′ double bowl vanity, garden tub with tile, and 4′ fully tiled shower with frameless glass door. Please, send me more information on this property: MLS# 1066665 – $375,776 – 622 Branchwood Lane, Maryville, TN 37801. I would like to schedule a private showing for this property: MLS# 1066665 – $375,776 – 622 Branchwood Lane, Maryville, TN 37801.